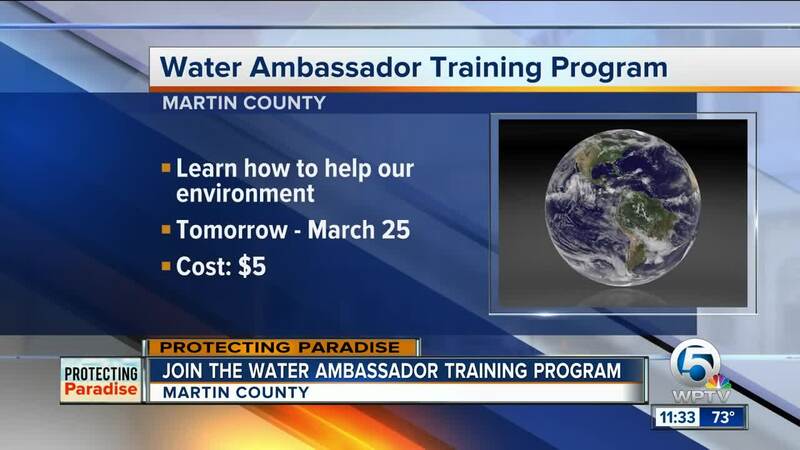 Martin County has partnered with the University of Florida to offer the Water Ambassador training program. MARTIN COUNTY, Fla. — Do you want to make a difference in protecting our waterways? It's designed to educate volunteers who want to help our environment. The six-hour course includes information on Florida’s drainage history, eco-friendly landscaping, reducing stormwater runoff, and fertilizer rules. You'll then be able to connect with others in your community to organize events about protecting our environment. To register for the Water Ambassador program, click here.